There is analytics and trading recommendations from the company Tifia in this thread. And we'll be glad to share our opinion about the Forex market. You are our best motivation for further development. Everything we do, we do it in your interests! And we'll be glad to share our opinion about the Forex market. So, share your opinion on this your thread. Last week, as you know, at the end of two day meeting of the Fed raised short-term interest rates 25 basis points to 0.75% -1.00% range. In this case, the Fed pointed to the likelihood of the two rate hikes this year. Fed comments did not meet expectations of investors, who were counting on 3-4 fold increase in the rate. In response to the Fed's comments that the Fed showed inclination for a more loose monetary policy, and contrary to the decision to raise rates, the greenback fell sharply on the foreign exchange market. The WSJ dollar index, which tracks the US dollar's value against a basket of 16 major currencies, fell on Wednesday by 1.2%, to 90.82, which was its strongest one-day fall since January 17. Investors who have been actively investing in the safe-haven yen, gold, took up negative attitude towards the dollar. The EUR / USD which received additional support after the results became known primaries in France, where the leader, former Minister of Economy, Industry and Digital Affairs of France, Emmanuel Macron, a supporter of euro integration. The leader of the political party "National Front" Marine Le Pen, which is against the euro integration and for exit of France's from NATO, again moved to 3rd place. Among the investors became more euro buyers than before, and there are proponents of the view that the ECB will soon turn off the program of quantitative easing, QE in the Eurozone. So, on Monday, Bundesbank President Jens Weidmann said the ECB should gradually start to move away from loose monetary policy, which leads to inflation. Last week was presented the February data on inflation, which for the first time in four years showed accelerating price growth towards the ECB target (below 2.0%). At a recent press conference ECB President Mario Draghi said "there is no more sense of further action urgent need" to deal with the extremely slow pace of inflation. However, the consensus among the leaders of the ECB on this matter has not. Thus, the head of the Bank of France said Wednesday that "the time is not to fold stimulate the economy." On Friday at 09:00 (GMT) will be presented the most important data for the level of business activity in key sectors of the economy of the Eurozone in March. There is expected growth of business activity in the services sector and the manufacturing sector of the economy. Earlier on Friday, also should pay attention to the publication at 06:30 and 08:30 (GMT) on the French GDP data for the first quarter and the index of business activity in Germany in March. Thus, on Friday published a number of important macro data for the Eurozone, which will cause a surge in volatility and trading in euro, including a pair of EUR / USD. In the center of the attention of investors today will be the speech at 12:45 (GMT) of Fed chief Janet Yellen. In addition, if she will give a signal to accelerate the pace of increase in US interest rates, the dollar may be supported in the currency market. 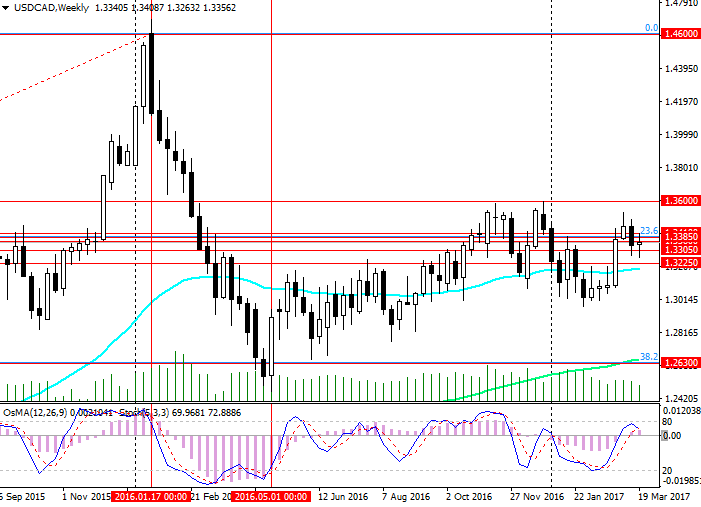 The EUR / USD rose sharply this month. Despite the interest rate rise in the US dollar weakened significantly in the currency market. 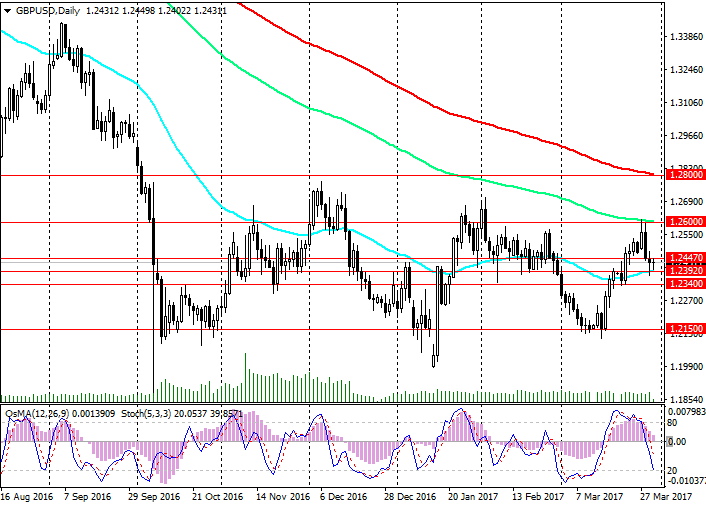 The growth of EUR / USD pair reached March nearly 230 points. 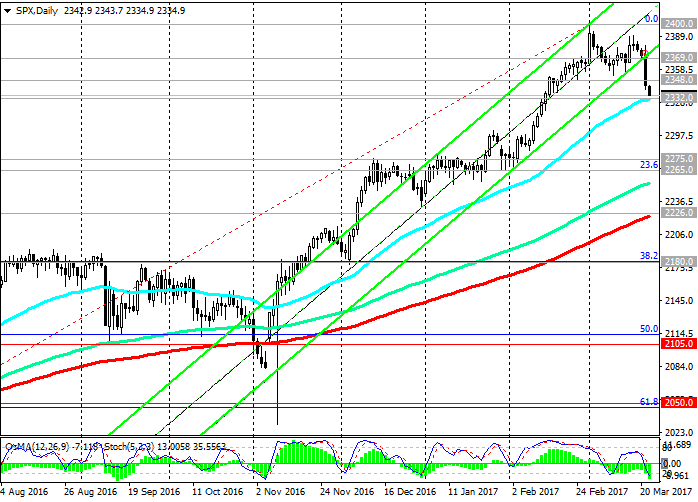 Indicators OsMA and Stochastic on the daily, weekly, monthly charts were developed on long positions. The pair came close to the strong resistance level 1.0820 (EMA200 on the daily chart). 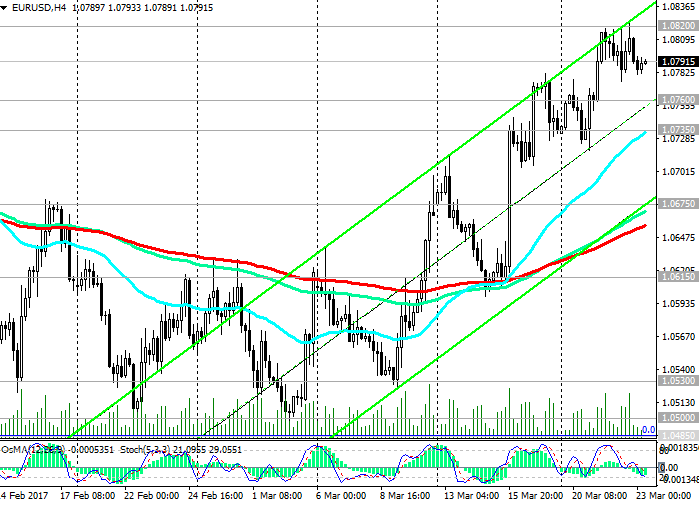 However, to break through the 1.0820 level EUR / USD pair will not be easy. Any change in the Fed’s sentiment quickly returns the positive momentum that will lead to its growth over the currency market. In this case, reduction in the EUR / USD below support levels 1.0760 (EMA144 on the daily chart), 1.0735 (EMA200 the 1-hour chart) return it to the downtrend. Nearest goal - to support levels 1.0675 (EMA200 and the lower line of the rising channel on 4-hour chart), 1.0615 (the lower line of the rising channel on the daily chart). 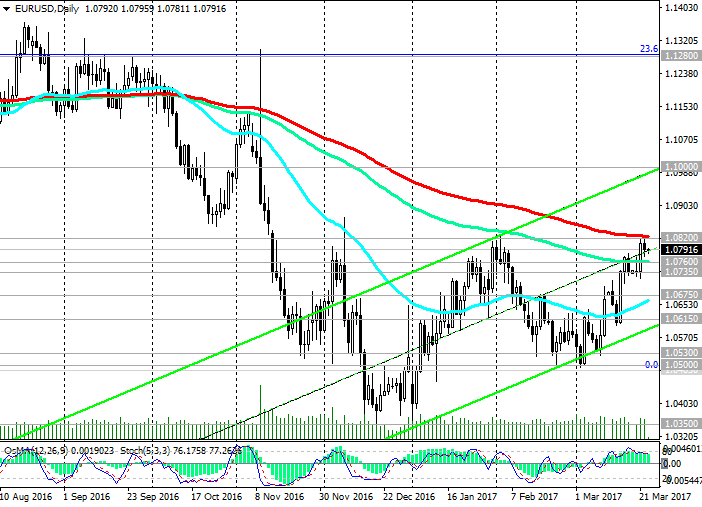 Only in the case of consolidation above the level of 1.0820 is possible to speak about the future growth of the EUR / USD in the rising channel on the daily chart, the upper limit of it is held near the level of 1.1000. Uncertainty about the upcoming elections in France will hold back until the euro and the pair EUR / USD. After the Republicans proposed to postpone the vote in the US Congress on the health bill on Friday, the dollar adjusted and partially regained its positions in the foreign exchange market. It seems that the Republican Party has not yet received the support of the necessary number of congressmen in the preliminary negotiations. In view of this, it is likely that today, right up to the beginning of voting on the project (during the American trading session), the same picture can be repeated in the dynamics of the dollar. The US dollar has corrected after yesterday's decline and some market participants will want to re-enter short positions on it during today's European session. Nevertheless, with respect to the pair USD / CAD it is necessary to be careful when making sales of the US dollar against the Canadian dollar. At 15:30, 16:30 and 16:45 (GMT + 3) a number of important macroeconomic indicators for the US and Canada are published, including the most important inflation indices - consumer price indices in Canada for February. The consumer price index is a key indicator of the level of inflation. The tendency of the Bank of Canada to tighten or mitigate monetary policy directly depends on it. The higher the value of the index, the higher the chances of raising the key rate in Canada and the higher the value of the Canadian dollar. According to the forecast, the index rose in February by 0.2% (+ 2.1% in annual terms). If the forecast is confirmed or the data will be better, the Canadian dollar will get support in the foreign exchange market. It is worth, however, pay attention to the spread in the quotes of the Canadian dollar and oil prices. Despite a significant decline in oil prices in March (about 11.5%), the Canadian dollar avoided a fall in the pair USD / CAD. The reverse correlation of the pair USD / CAD with oil prices is approximately 92% and the Canadian dollar, remaining the commodity currency, is sensitive to oil quotes. In case of a successful outcome of voting in the US Congress on the bill on changes in the US healthcare system, the pair USD / CAD can grow significantly. Today, as well as yesterday, the highest volatility in the financial markets is expected, especially during the American trading session, which must be taken into account when making trading decisions. Since May 2011, the pair USD / CAD is in an upward long-term trend. At the beginning of 2016, having peaked near 1.4600, the pair USD / CAD adjusted sharply, falling to support level 1.2630 by May 2016 (Fibonacci level 38.2% correction to the pair's upward wave growth since May 2011). 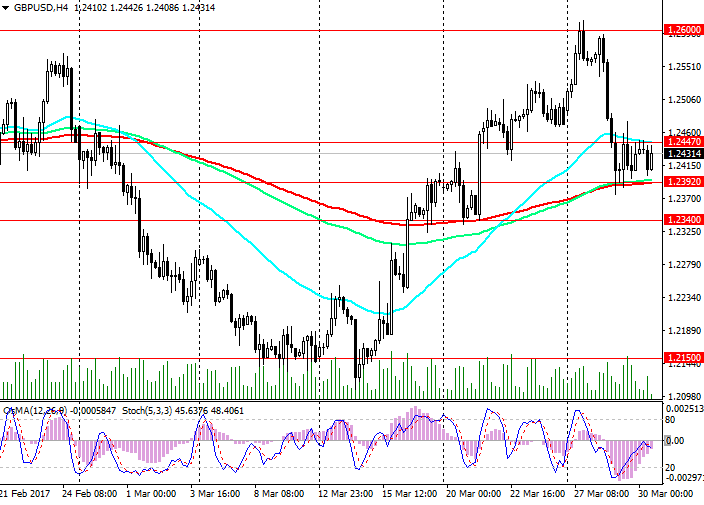 At the moment, the pair USD / CAD is trading near the most important level of 1.3385 (Fibonacci level of 23.6%). The pair USD / CAD keeps positive dynamics above support levels 1.3225 (EMA200 on the daily chart), 1.3305 (EMA200 on the 4-hour chart). The indicators OsMA and Stochastics on the 4-hour and daily charts are on the buyer’s side. Fundamental factors (the difference in the direction of the monetary policies of the central banks of the US and Canada, falling oil prices) also contribute to the growth of the pair USD / CAD. 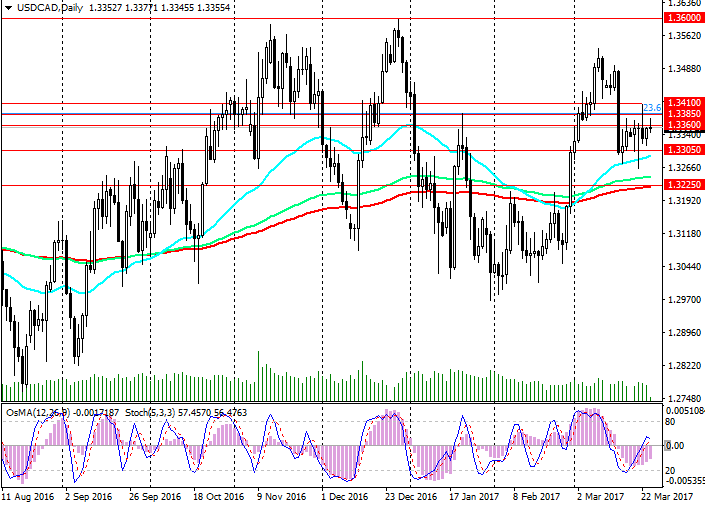 Fixing the pair above the resistance levels 1.3385 (Fibonacci level 23.6%), 1.3410 (local highs) will create prerequisites for further growth of the pair in the medium term and return to the uptrend. In the short term, a decline to support level 1.3305 (EMA200 on the 4-hour chart) is possible. The breakdown of the support level 1.3225 (EMA200 on the daily chart) will create risks for further reduction of the pair with a "long" target of 1.2630 (Fibonacci level of 38.2% and EMA144 on the weekly chart). The failure of the Trump administration with the draft of the new health law forced many investors to question its ability to fulfill Trump's promises during the campaign to support business in the United States. As you know, on Friday the Republicans withdrew from the vote in the US Congress the question of a new health bill, without enlisting the support of the majority of congressmen. Doubts about the success of the Trump administration began to appear at the beginning of last week. As a result, over the past week, the leading US stock indices recorded the largest drop in the last few months. Reform of the health system was considered the first real test of the capabilities of the new administration. And now failure can cast doubt on the other legislative projects of Trump. Doubts about Trump's ability to pursue a stimulating policy that would support the growth of stocks and the yield of government bonds caused a drop not only in the indices, but also in the dollar across the entire foreign exchange market. The ICE dollar index fell on Friday to a minimum since mid-January 99,627 against 99,760 on Thursday. The S & P500 index fell 0.1% on Friday to 2,343.98 points, and by the end of the week, it fell 1.4%, which was its worst result since November. The Dow Jones Industrial Average dropped 0.3% to 20596. Its weekly decline reached 1.5% and was the highest since September. Prices for US Treasury bonds rose, and the yield on 10-year bonds fell to 2.396% from 2.418% on Thursday. Nevertheless, Donald Trump tried to reassure investors, saying, "we will undertake a very large effort for a significant reduction in taxes and tax reform. This will be our next step. " In general, the positive background for stock indices remains. Despite the rollback (in absolute terms), the indices increased significantly in annual terms. So, the S & P500 index, despite weekly losses, since the beginning of the year is gaining 3.8%, DJIA has grown since the beginning of the year by 3.3%. Now investors will closely follow the next steps of the administration of the US president. The Fed has already made it clear that there will be only two rate hikes this year, i.e. one more, and not three, as planned earlier. The Fed's inclination to soft monetary policy, as well as Trump's statements that the country needs a cheaper dollar, are supporting the US stock market. With the opening of today's trading day, the S & P500 index fell sharply. The recall of the bill on health care from the Congress and its withdrawal from the vote collapsed the dollar and major US indices. 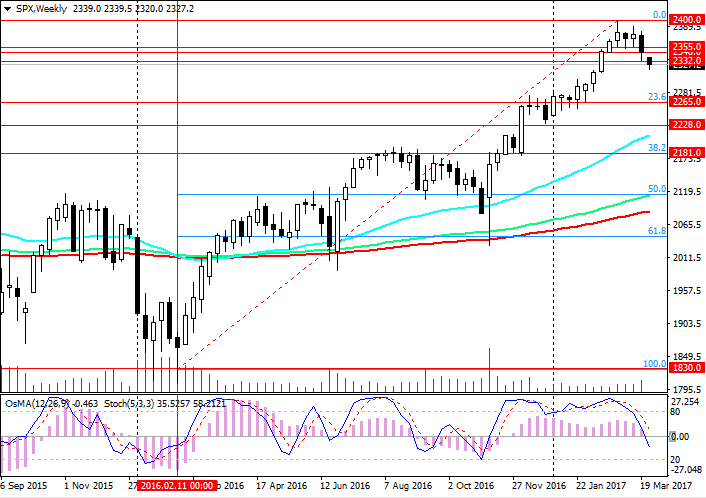 The S & P500 index broke a short-term support level of 2348.0 and a support level of 2332.0 (EMA50 on the daily chart). The breakdown of the 2348.0, 2332.0 levels increased the risk of further decline in the index. 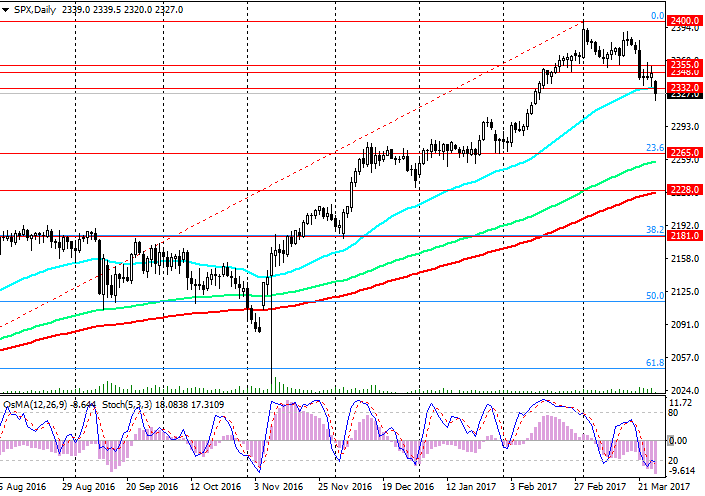 The objectives of this decline are the levels of 2258.0 (December highs), 2265.0 (EMA144 on the daily chart and the Fibonacci level of 23.6% correction to the growth of the index from the level of 1830.0 (low of 2016) to the level of 2400.0 (highs of 2017)). Restoring of the index above the level of 2355.0 return the positive dynamics to index S&P500 and will point to the recent highs near the level of 2400.0. The breakdown of support levels of 2228.0 (EMA200 on the daily chart), 2181.0 (the Fibonacci level of 38.2%) will cancel the bullish trend of the index. On Monday, the dollar fell sharply in the foreign exchange market. On Friday, Republicans withdrew their bill from Congress to abolish Obamacare, as it did not receive support among Congressmen. Among investors, fears have increased that the US president's administration will be able to implement the promised tax cuts and increase infrastructure costs. The dollar index of the Wall Street Journal, which tracks the value of the US dollar against a basket of 16 currencies, fell 0.6% to 89.65, the lowest level since November 11. Earlier, the dollar actively grew in the market in anticipation that the new administration of the US president will resort to fiscal stimulus measures of the economy, increasing budget expenditures, and creating prerequisites for a faster increase in interest rates. The growth of uncertainty in the financial markets leads to the withdrawal of investor funds in safer assets, such as government bonds, yen, precious metals. So, on Monday April gold futures rose 0.6% to 1255.70 US dollars per ounce, having finished trading at the maximum level since February 27. However, the spot price for silver rose to $ 18.11 per troy ounce, the highest for the last 3 weeks. The price of precious metals usually grows during periods of market or political uncertainty. Moreover, the weakening of the dollar and the appreciation of precious metals is not hampered even by the decision of the Fed to raise the rate this month and verbal intervention by representatives of the Fed on the high probability of a multiple rate increase this year. Representatives of the Federal Reserve have repeatedly signaled that the rate increase this year is likely to continue in connection with the strengthening of the economy and against expectations of an increase in inflation to the target of 2%, as well as an increase in US employment. Nevertheless, the prices for gold and silver are growing, and the dollar is getting cheaper. After a sharp decline since the beginning of the month, the pair XAG / USD was able to regain its upward momentum and is growing for the third consecutive week. 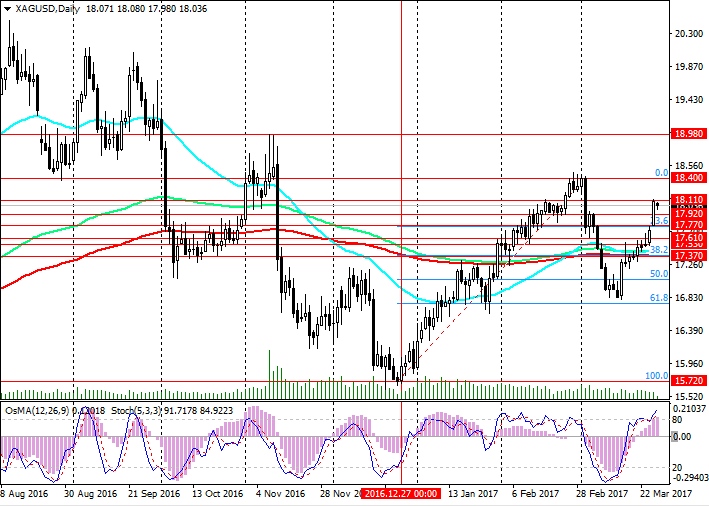 The pair XAG/USD broke through the important resistance levels 17.37 (EMA200 on the daily chart and the Fibonacci level 38.2% of correction to the pair growth from the end of December 2016 and the level 15.72), 17.53 (EMA200 on the 4-hour chart), 17.77 (Fibonacci level 23,6%) and continues to grow to an important resistance level 18.40 (EMA200 on the weekly chart and the Fibonacci level 0%). The OsMA and Stochastic indicators on the daily, weekly, monthly charts are on the buyers’ side. Against the backdrop of a weak dollar, the upward trend in the pair XAG / USD persists. The nearest target is level 18.40. The reverse scenario implies a breakdown of support levels of 17.70, 17.61, 17.53 and a decline to support level of 17.37. The break of 17.37 level raises the risk of further decline in the pair XAG / USD and its return to the downtrend with a long target of 15.72 (low of 2016). On Tuesday, Donald Trump signed a decree to repeal measures to protect the environment, which was introduced by Barack Obama. On the one hand, this shows the determination of Trump in pursuing his new economic policy and the desire to return the economy to traditional sources of energy, such as oil and coal. On the other hand, the decree is even more motivating for US oil and gas companies to increase oil production and accelerate the drilling of new wells. Last week, the number of active drilling oil rigs in the US increased by another 21 units to 625 units. The number of active drilling rigs in the US has been increasing since June for several months in a row, doubling after reaching a minimum in May last year. The active growth in oil production, primarily in the US, negates OPEC's efforts to contain the fall in oil prices against the backdrop of an overabundance of oil supply in the world. The active growth of oil prices, observed immediately after the signing of this agreement, stalled already at the beginning of this year. Since the beginning of March, there has been a sharp drop in oil prices. Moreover, the price decline occurs against the background of the weakening of the dollar. 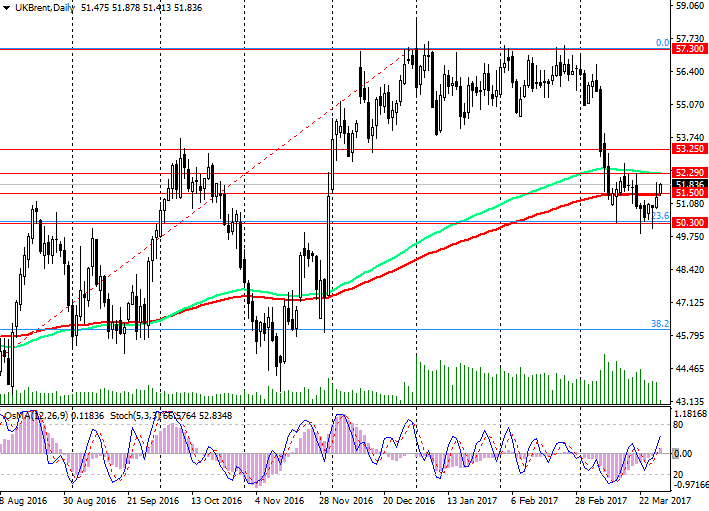 If the dollar begins to recover its positions in the foreign exchange market, then the fall in oil prices may accelerate. Presented late last night, the report of the American Petroleum Institute (API) showed that oil reserves in the US for the past week increased by 1.9 million barrels. The official report of the Energy Information Administration of the US Energy Ministry will be published today at 14:30 (GMT). The stock is expected to grow by 1.183 million barrels of crude oil and petroleum products over the past week. Reserves of oil in the US are growing, again reaching a record high over the past 80 years, above 533 million barrels. Oil production in the US has been growing for the fifth consecutive week (up to 9.13 million barrels per day). If the data from the US Energy Ministry, which will be presented today, will be confirmed, then oil prices may continue to fall. The US Energy Ministry expects further growth in oil production in the country. And this means that oil prices, if they do not continue to fall, will not grow actively. 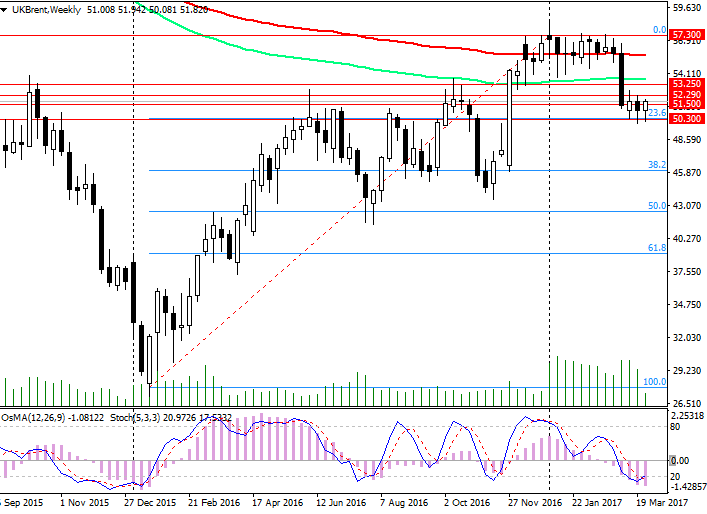 The price of Brent crude oil, having fallen from the maximum annual markings near the level of 57.30, stabilized near key support levels 51.50 (EMA200 on the daily chart), 50.30 (Fibonacci level 23.6% correction to decrease from 65.30 from June 2015 to absolute minimums 2016 Year near the 27.00 mark). To determine the further dynamics of the price, new drivers are needed. The active growth of oil production and the growth of stocks in the US, as well as the Fed's inclination to a slower but gradual increase in the interest rate in the US, put pressure on oil prices. If OPEC does not extend the agreement on limiting oil production, which ends in June, the price of oil will begin to decline rapidly. Fundamental drivers for the growth of oil prices yet. 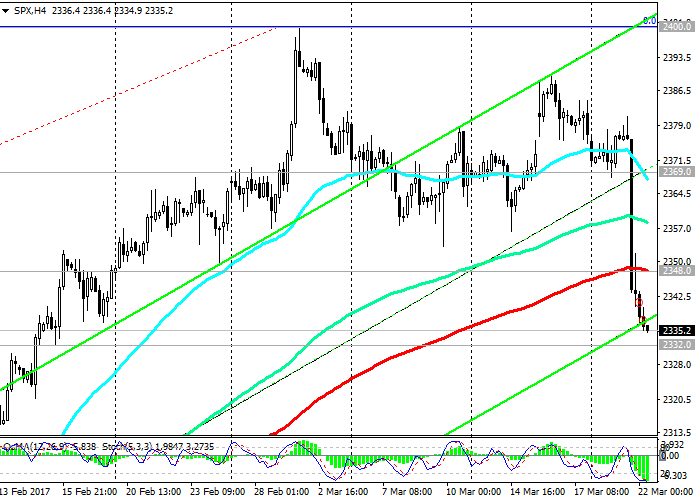 In the case of breakdown of the support level of 50.30, the decline in the price of Brent oil may accelerate. Only when the price returns above the resistance levels of 53.00 (June and October highs), 53.25 (EMA200 on the 4-hour chart), you can again seriously consider long positions. Nine months after the vote for secession from the EU, British Prime Minister Theresa May signed Wednesday a decree on the beginning of the British divorce proceedings with the European Union. The beginning of the two-year period of Brexit negotiations based on Article 50 of the Lisbon Agreement is laid. Now Great Britain will try to soften for itself the conditions of this process. Negotiations should begin within a few weeks; the most cautious forecast is until the end of the second quarter. The uncertainty of this process puts pressure on the pound. On the other hand, Fed officials continue to signal that the US central bank is still prepared to continue raising rates this year. In their opinion, the Fed will raise the rate 2-3 times more this year. Earlier in the week, the dollar appreciably weakened in the foreign exchange market after the Republicans withdrew from the Congress a bill on healthcare on Friday. This raised doubts about the Trump administration's ability to implement tax reforms and plans to stimulate the economy. However, published on Tuesday, data showed that consumer confidence in the US reached the highest level in 16 years. The dollar received support and was able to recover significantly in the foreign exchange market. Now, according to CME Group's data, the probability of a rate hike at the June Fed meeting is 53%. It seems that market participants are not yet fully aware of the Fed's determination in this matter. As the June approach approaches, as the positive data from the United States come in, the dollar will gradually grow stronger in the foreign exchange market. Tomorrow at 08:30 (GMT) will be published data on UK GDP for the 4th quarter. The country ranks first on the annual percentage growth of GDP among all the strongest economies of the world, and the share of the UK's GDP in the world GDP is about 4% (2nd place in Europe after Germany). GDP is considered an indicator of the overall state of the British economy. The growing trend of GDP is considered positive for GBP, and vice versa. An annual increase of 2.0% is expected. If GDP data turn out to be weak, this will directly affect the decision of the Bank of England to reduce the interest rate in the UK. And this will put downward pressure on the pound. The main factors that can force the Bank of England to lower the rate are a weak GDP growth, the labor market. However, the growing inflation in the country will have the opposite effect on the Bank of England in its decision to lower the interest rate. Positive macroeconomic reports of recent weeks suggest that the UK economy did not collapse after the referendum. A strong GDP report will have the most positive impact on the pound's position and the British stock market. Conversely, weak GDP will have a negative impact on the pound's quotes, including in the GBP / USD pair. And today the attention of market participants will be focused on data on GDP and inflation indicators of the US for the 4th quarter. Strong GDP and inflation indexes can significantly reduce the doubts of market participants in the likelihood of a rate hike in the US already at the May or June meeting of the Fed. The pound continues to remain under pressure, and the GBP / USD pair is in a long-term downtrend since July 2014. Since yesterday, the GBP / USD pair has formed a short-term range between the support level of 1.2392 (EMA200 on the 4-hour chart) and resistance level 1.2447 (EMA200 on the 1-hour chart). 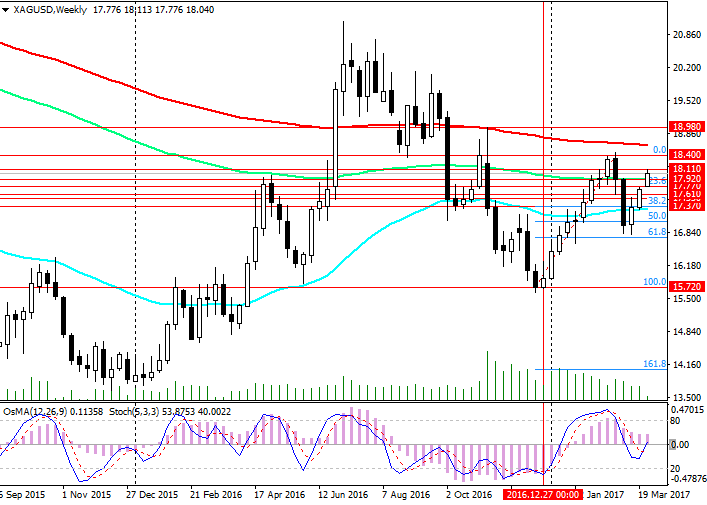 The pair GBP / USD growth in the period of 1-2 weeks is limited by resistance level 1.2600 (EMA144 on the daily chart). Negative dynamics of the pair GBP / USD prevails. If the US GDP (published today) turns out to be strong, and the UK GDP (published tomorrow) will be weaker than the forecast (2.0%), then the GBP / USD pair will definitely break through the short-term support level 1.2392 and go towards the nearest support level 1.2150 (March lows) . Indicators OsMA and Stochastics on the daily and 4-hour charts turned to the side of sellers. The reverse scenario is related to breakdown of the short-term resistance level 1.2447 and further growth to the level of 1.2600. The different focus of monetary policies in the US and the UK, the withdrawal from the EU are powerful fundamental factors that prevent the GBP / USD pair from recovering significantly. Negative fundamental background creates prerequisites for further decline in the pair GBP / USD, the negative dynamics of the pair GBP / USD is still predominant. In case of breakdown of the local support level 1.2392, the pair GBP / USD decline will continue.